Elegant symmetry adds an architectural element to any space. 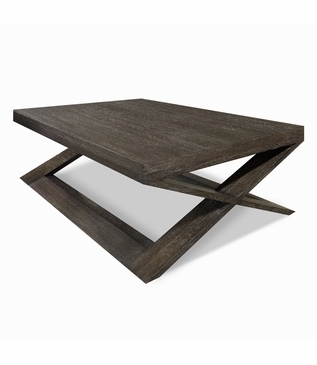 Shown constructed of gorgeous rift-cut white oak in a Charcoal Ceruse with a semi-gloss sheen, the Xavier Coffee Table will be the star of any seating area. 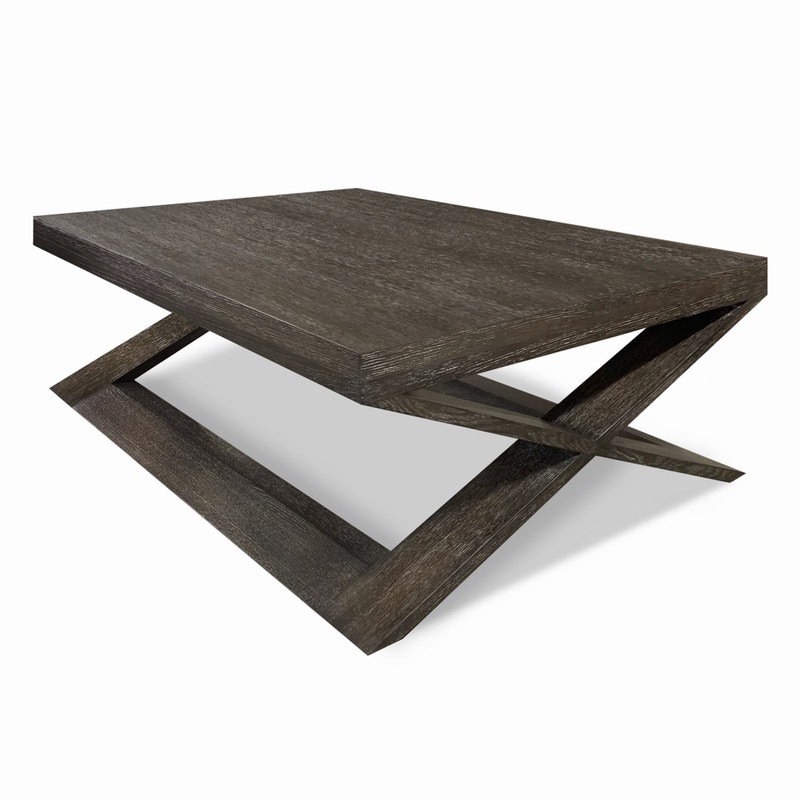 As with all pieces from our Custom Furniture Collection, this beautiful coffee table is made-to-order in Los Angeles and can be infinitely customized. Choose your own dimensions, wood type, and finish. For pricing, please call, e-mail, or submit an online quote request. Any additional photos (thumbnails left of the main image) are provided to show alternate angles, detailed views, or to offer ideas for design customization. Please note: This product description and its listed measurements are specific to the item displayed in the main image. Dimensions: W: 54" • D: 38" • H: 18"